You should realize that gambling will be your downfall. It will ruin your finances. Unfortunately this realization will come when you hit rock bottom. Do not wait to hit rock bottom. You have to bounce back and redeem yourself and your future. Fortunately the government is serious when it comes to curbing gambling, particularly remote gambling. You need to know that you are not alone in this battle. There are other people who have the same problem like yours. There are people who understand what you are going through. You need to join a nearby support group. If your problem is deeply rooted, you need the help of professionals. You need to submit to therapies and treatments so you will get better. You should take part in the programs designed for you. Seeing the professionals is the wisest decision. Whenever you get the urge to gamble, try to distract yourself. There are many activities that you can consider. The important thing here is you forget about your craving or urge by enjoying other activities. You can try to clean the house, watch a movie or go to the gym. Some people get carried away when they gamble. They believe that they can recoup the losses. You should be realistic. Try to imagine if you lost everything. You disappoint your family and yourself. That is not good. 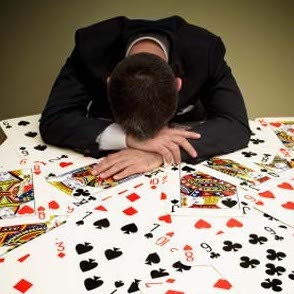 If you are dealing with a gambling problem and you want to change, you should endure it. Battling a gambling craving is not easy but if you put your heart to it, you will surely succeed.